A press release can be an effective way to get some traffic and attention to your site. Last week DZone launched. It’s a job board for developers. The news that they launched is nothing earth shattering but it worked to get them noticed. The story was picked up by at least 2 outlets in the recruiting world, ERE and HR Tech Dirt. By paying a few hundred bucks to PRweb.com, the new job board got noticed and that was the point. 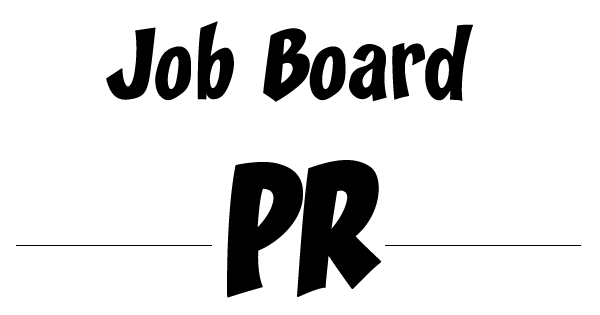 If you are looking to announce something I also have a PR service at RecruitingHeadlines. 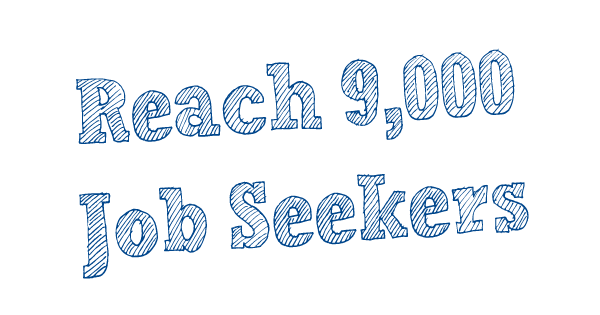 The cheapest version is $99 and goes on the site as well as an email list of 1,000 recruiters. It’s a much more targeted list of potential clients versus using a national PR service. So get out there and do some PR of your own. You never know who will pick it up. Leading developer media company, DZone, Inc., today announced the launch of DZone Jobs, a new hiring service, designed to help organizations find and recruit top-end software development talent. DZone’s new talent solution comes in response to growing demand for software development talent. According to Stack Overflow’s 2016 Developer Landscape Report, developer unemployment runs at a near industry low of 2.12%, while 15% of all developers are actively looking for new jobs, and 63% are open to hearing about new opportunities. This means that, while there are many developers looking for new opportunities, many organizations are competing head-to-head to recruit developers that are in high-demand. By combining a strict focus on software development talent with the global reach of DZone.com, DZone Jobs will offer organizations a cost-effective way to target development-specific talent. For a limited time, DZone will be extending free job postings to employers to try the new service. For more information and to get started, visit https://jobs.dzone.com/. DZone connects software professionals with free knowledge resources, tools, and opportunities to help them advance their careers and build the future. DZone has been building developer community for over two decades at DZone.com, and also provides its platform, AnswerHub, to some of the world’s largest companies to power their own developer-focused communities. For marketers and recruiters, DZone provides services for engaging its global audience of developers through strategic content marketing and targeted talent matching solutions. 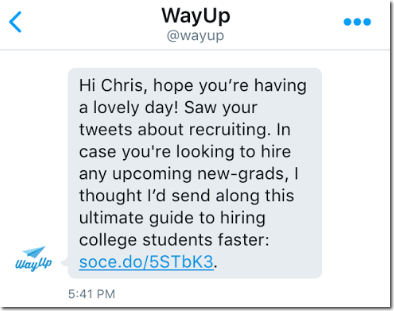 It’s a lead gen message from the entry-level job board WayUp and I thought it’s a great example of how to do lead generation using twitter. It links to a signup form to get a free ebook. Ebooks about hiring in your niche are a terrific way to build your prospect lists. Every job board or HR tech startup should utilize this tactic as much as possible. And using Twitter makes it easy to find recruiters and HR people. Just do searches on phrases like human resources, recruiter, staffing to find people and organizations who are hiring. So get out there and start writing yours to build your own list of hiring prospects. On top of my job board directory on CareerCloud I just discovered another place to list your job board for free. 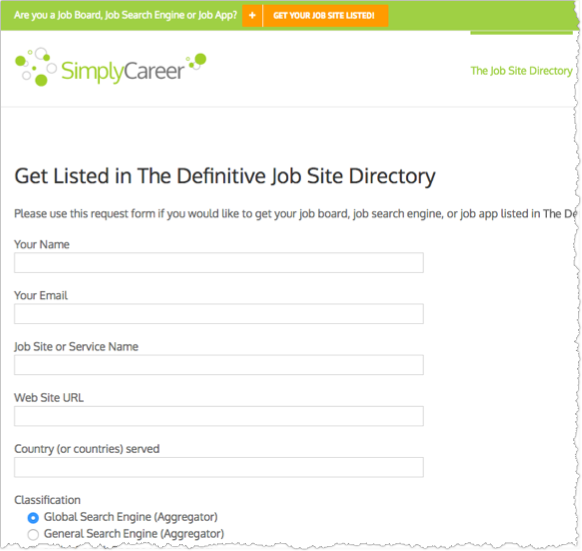 Its called SimplyCareer and they have a nice looking directory. Get listed here. As a job board owner you should be constantly seeking out other sites to get listed on. It’s an important SEO tactic to get other relevant sites to link to you. I have an email list of job seekers that I have built up via CareerCloud over the years. Would you like to reach them in a single email blast? For $199 I will email your message to them. These are job seekers all across the country so it is a US based audience. If you have a product or service that is looking for more job seekers my email blast will give you a quick boost. Contact me for details chris@jobboardsecrets.com. Automating your social media is an important part of any internet business. Many have asked me for help in this area. One of the most common questions I get is about automating content to Facebook job groups. For the longest time I thought there was no way…but there is…with a catch. You can automate content to a Facebook group BUT you must have Admin rights. Regular members can’t do this. Recently I switched to using Dlvr.it a social media management tool. When I began to connect my social accounts I noticed that they included any groups on Facebook that I was an Admin for. Eureka! So if you want to auto post to your own group I suggest creating and growing your own or convincing the group owner to let you do so. I am looking for a few job boards to team up with me in what I call a “social media content ring“. The goal is to help each participant to increase views on their blog content by having each member of the ring auto publish the other’s content. I am already working with a number of sites like Job Monkey through my CareerCloud site. Here’s how it works. To participate you will need access to a social media tool like Buffer, Dlvr.it or Meet Edgar. 1. Exchange RSS feeds with CareerCloud. 2. 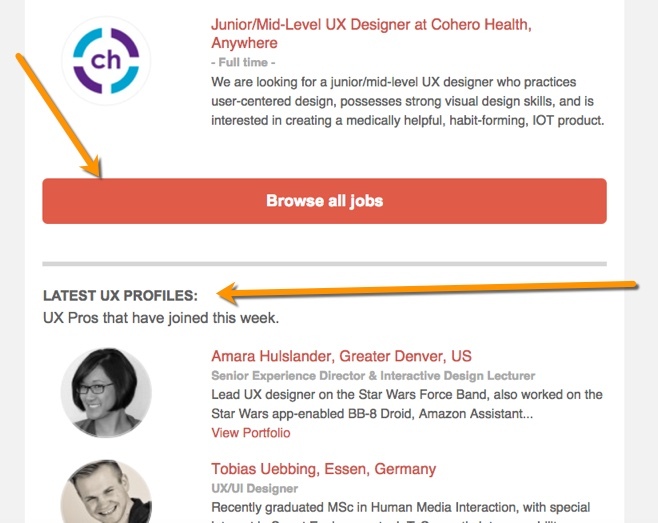 CareerCloud will auto-publish your content to its Facebook, Twitter and Linkedin channels. 3. 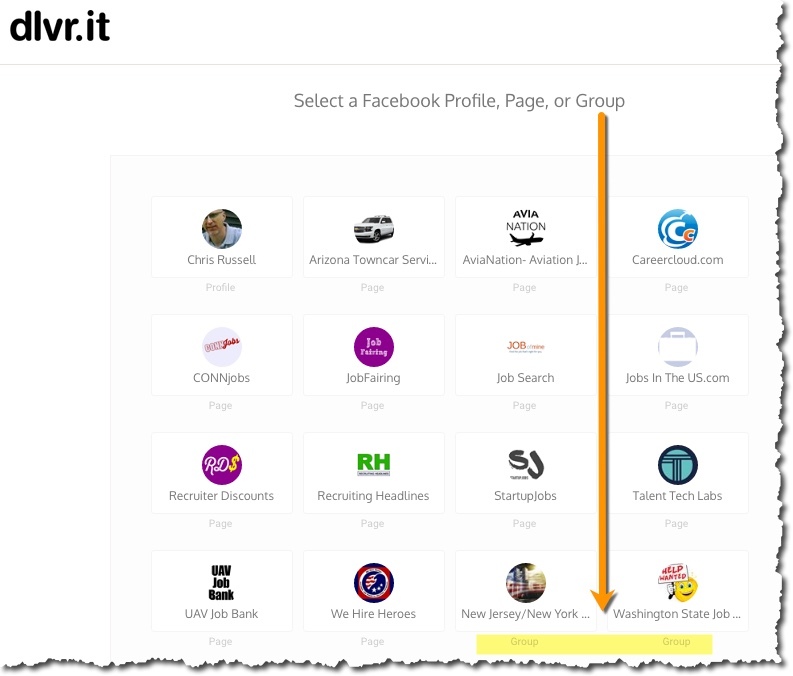 Your site auto-publishes the CareerCloud feed to its Facebook, Twitter and Linkedin channels. 4. We all get more exposure! Now I have a few limitations. I am only willing to partner with established sites who have at least 1,000 social media followers. Your Content must be job search related and not be spammy. Career Coaches are also a good fit who write on their blog. You must also have channels on the big 3 – Facebook/Twitter/LI. 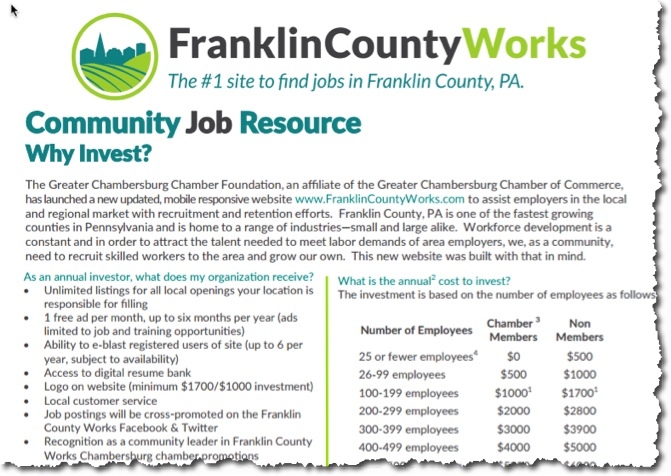 I cam across a new local job site for Franklin County PA the other day called FranklinCountyWorks. They created a PDF version of their prices that I thought is a good idea. By creating a PDF version you can easily share your sites pricing information and other pertinent details in a way that makes it easy for employer inquiries. [Link to PDF]. This kind of media kit is something every job board should have on hand. Here’s one I created for AviaNation.com the airline job board. There is a PDF version of this same page so it makes it easy to email to anyone requesting more info. If you run a job board I hope you are actively emailing your users. I once talked to a job board owner who had collected 100,000 emails since 2002 but never ever emailed them anything. What a waste. If you ever plan on selling your site one day you’d better have a nice big email list. Your list is perhaps the best marketing channel you have to drive traffic and revenue. 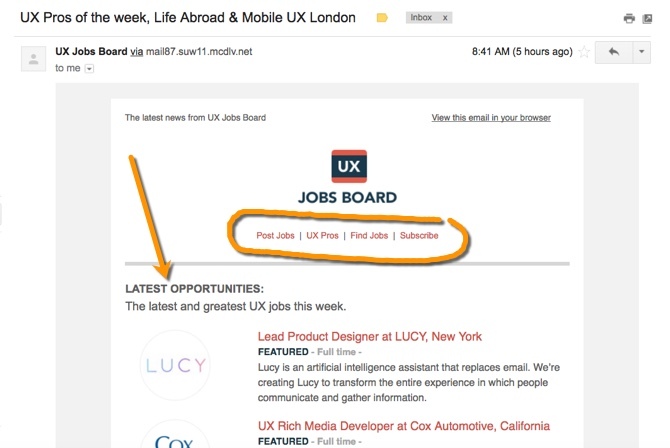 The other day UXjobsboard sent me their newsletter and I thought it was a good example to share with my readers since it does a pretty good job of highlighting important news and information. You would do well to follow their example. And if you don’t have a newsletter yet, get on it. I recommend Mailchimp. Header area: lead with your logo. Also list the basic links for posting or finding jobs. The first piece of content are the latest jobs which helps show off the site’s latest content. Doing that each week keeps the site “fresh” in the eyes of the reader. Browse all jobs button takes readers right to all the latest jobs. Latest profiles shows that new users are registering on the site. 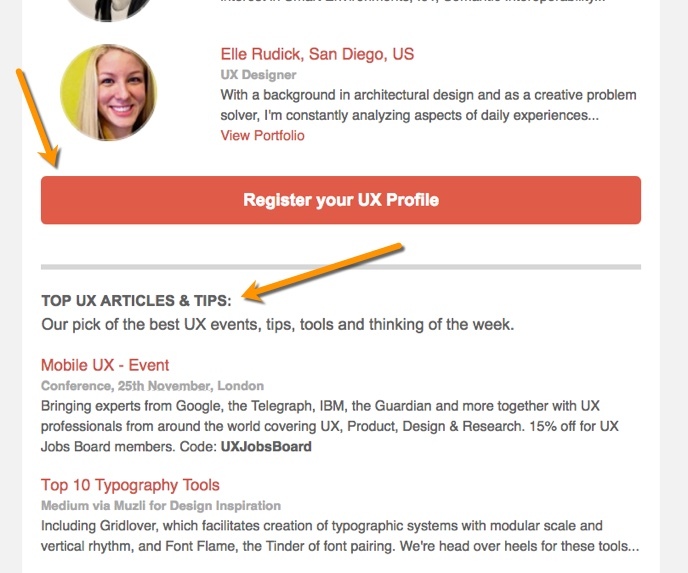 Big buttons help to encourage other users to create a profile. Links to related content and industry events.